Being a dominant name in respected field, we Skytech Rolling Mill Pvt Ltd. are engaged in offering high quality Stainless Steel Hexagonal Bars that is manufactured using optimum quality stainless steel in line with industry standards. Available in a wide variety of dimensions, it is extensively appreciated by our clients for its close dimensional accuracy and optimum strength.our clients can avail this range at market leading prices.Our offered bar is mostly used in different machinery and various industrial processes. 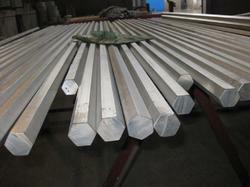 We have gained huge repute by developing high quality 304 Stainless Steel Hexagonal Bar. We are well reckoned entity offering robust quality 316 Stainless Steel Hexagonal Bar. 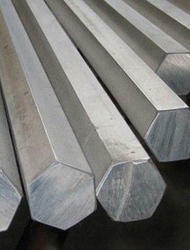 We are renowned firm developing finest grade 304L Stainless Steel Hexagonal Bar. 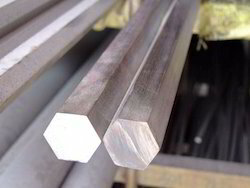 We have full devout in developing the best quality 316L Stainless Steel Hexagonal Bar. 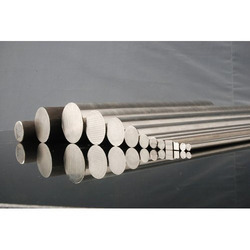 We are the leading and prominent Manufacturer, Exporter and Supplier of Stainless Steel 904 L Rod. We Skytech Rolling Mill Pvt Ltd have attained the numerous status in the concerned domain and offer a qualitative range of Stainless Steel Hexagonal Bar.